The perfect opportunity to indulge in a mind-blowing adventure is right here at your doorstep! 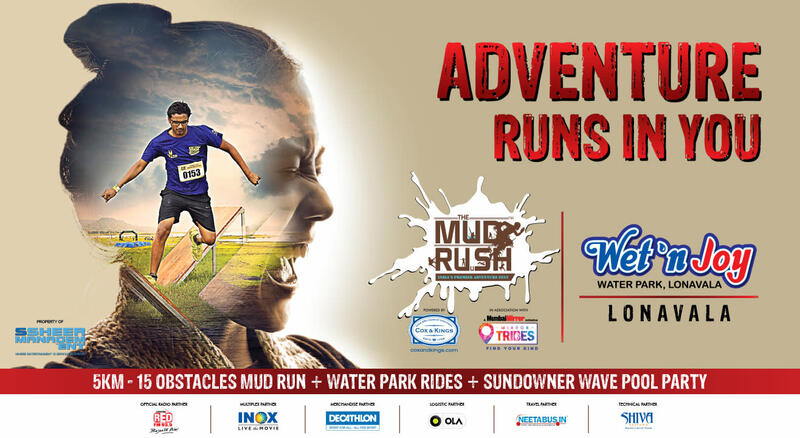 Gear up for Asia’s first mud run – presenting, The Mud Rush! As a one-of-a-kind adrenaline infused event, The Mud Rush aims to give an exhilarating experience to all of its patrons. Designed and conceptualized by a team of experts with experience from similar events that were held across the globe, The Mud Rush will leave you spell-bound and asking for more. The Mud Rush is not just about running and crossing obstacles spread over a muddy landscape; it is an experience of a lifetime. The 5-kilometre long muddy track brings with it a promise of stupendous fun combined with exciting new challenges in every step. Set amidst 15 obstacles and a whole lot of mud, the event promises to be a memory you will cherish for a long time to come. After the huge success of the previous four editions at the water rapids in Kolad, the ancient Fort Jadhavghad in Pune, the Scenic Dudhani lake in Silvassa and Mumbai's very own Film City this year, TMR promises to be bigger and better, guaranteeing you more fun and adventure than ever before at everybody's favourite monsoon destination – Lonavala!